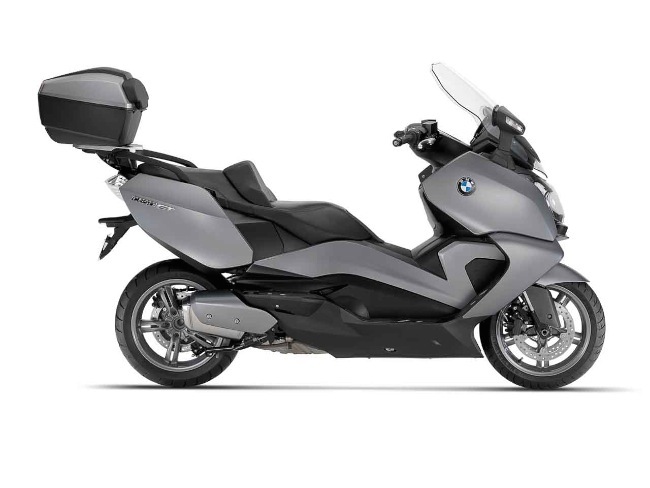 BMW release 2015 pricing on C 600 Sport and C 650 GT models. Special Edition models will continue. 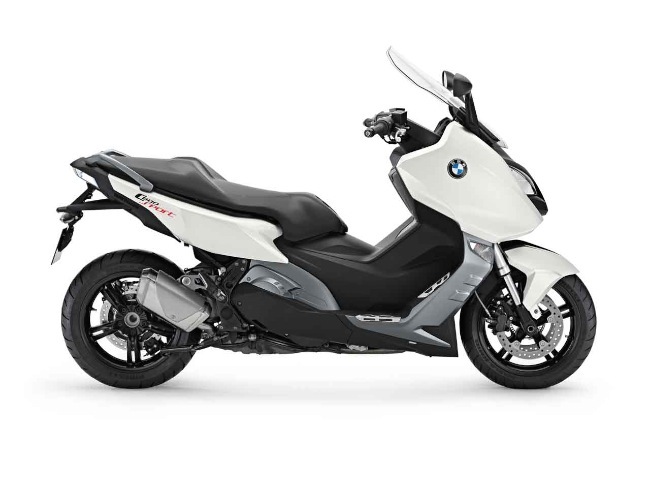 The BMW scooter range for 2015 will stay as is, with both MY15 models arriving this October. Both Sport and Touring packages will keep the same spec sheets which includes sharing the same 647 cc twin-cylinder engine that produces 40 Kw’s of power. The Sport model is obviously named after the fact that it’s more biased towards scratching whilst the GT version has a bias towards catering for longer distances. 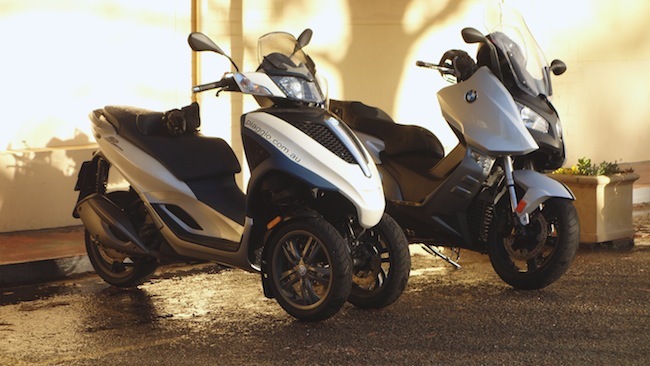 We know from previous experience that both models will provide a balance between scooter convenience and motorcycle type performance. Full upside down front forks, 15 inch wheels and 270 mm discs all round with ABS standard. For 2015 the Sport will be available in Alpine White, Sapphire Black and Cosmic Blue. The GT version will be available in Havanna Metallic, Quartz Blue and Sapphire Black. Both versions will also be available in Special Editions. The Sport will receive special racing graphics and standard Akropovic pipe. The GT Special Edition will receive the Highline package fitted as standard equipment with free rack, box and rest. The Special Edition GT comes in the standard range of colours. In addition to this, the GT is also available in an LS version that’s Granite Grey. 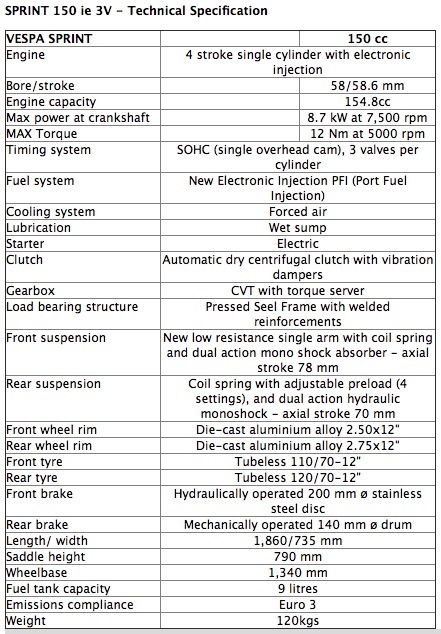 Kymco release details of the 2015 People GTi in Europe giving us further indication of what we might see here in Australia. This is one scooter I’m eagerly awaiting. 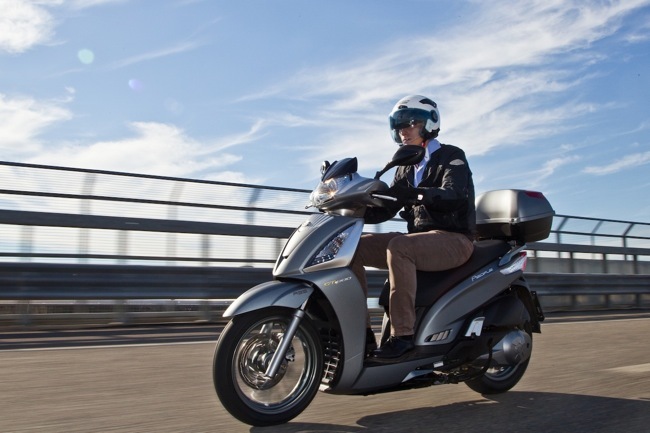 The People GTi is Kymco’s urban commuter that features large 16 inch wheels, a short wheelbase with a flat floor configuration. Kind of in the same mould as Aprilia’s Sportcity, a scooter I still regard as one of the best ever. Europe has just released information on a 2015 update for the People GTi range and this includes the injected 300 model that has recently seen ADR approval for Australia. Word is we will have this model on dealers floors late October. For MY15, the People GTi gets a series of minor styling updates. The suspension gets some tweaks and a more comfortable saddle. Other key features on the People 300 GTi include Kymco’s G5 engine/transmission package, ABS brakes and LED running lights. So what’s all the excitement? 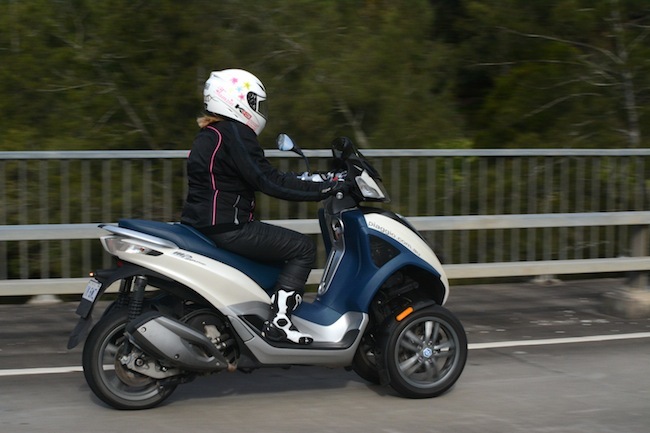 The large wheeled scooter segment has been left depleted since the Aprilia Sportcity or even Honda’s SH 300 were both taken off the Australian market. There’s no longer a large capacity scooter available for sale in this configuration. The People 300 GTi will help fill this gap. Let’s hope this one does make it here as it looks like a good thing, especially with the latest round of 2015 model year updates. We’ll release further information as it crosses the Scootersales desk. The Yourban 300 is a unique beast. 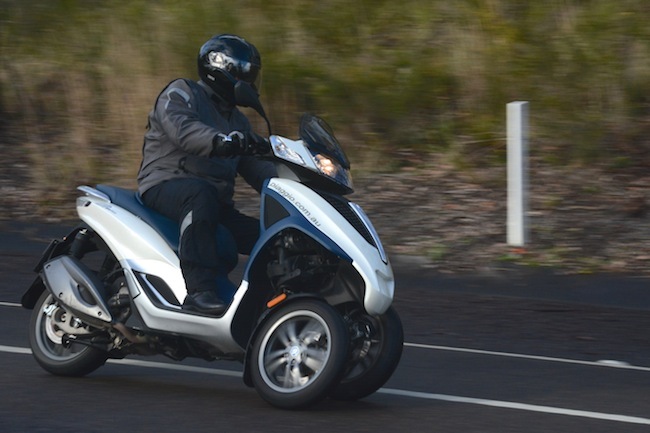 It’s our new long-termer here at Scootersales.com.au. Ride impressions inside. The Yourban turns heads everywhere you go. Park it, ride it or even when pulled over for a random breath test, get ready to talk about the Yourban. You’ll quickly become the centre of attention. What is it? How does it work? Is that a trike? After you get through the initial intrigue, the Yourban becomes so much more. Three wheels bring big benefits. Additional road holding, better braking, stability in corners and wet weather confidence over varied surfaces. For proof just take a look at the photo above. The Yourban is an “Urban” commuting tool. It possesses good storage, has great levels of weather protection and offers sufficient levels of performance to maintain confidence on faster arterial roads. When parking, the front wheel locking mechanism only adds to the convenience. Don't be fooled by the quirky looks or the addition of an extra wheel. Yes, it’s not cheap when compared to today's competitive motorcycle environment but you’ll be the smart one here, the Yourban exudes practicality and will enhance your confidence. The Yourban does have some higher speed limitations when touring but around town it’s the bomb. The Yourban is different, and as such, we decided to do something different. Three different ride impressions, three very different riders. See those ride experiences below. First impressions of the Yourban 300 was that it was a good looking well built machine. Climbed aboard and found it a bit to squeezy for my frame, I’m not at all lanky but unless I adopted a proper upright seated posture it felt a little small. The reach to ground is good, managing flat feet either side. The handbrake and it’s unique ability to lock the front suspension, keeping the scoot upright without the use of side or centre stand, makes it very user friendly. Good storage is offered under the seat, enough for three large bags of shopping. On the road, the impression of quality and build continues, the transmission is very smooth and the fuelling well sorted. This makes it very easy to operate in the cut and thrust of the daily commute. Arrive at lights, come to a stop and lock the front suspension, this a simple flick of the thumb on the right handle bar, take off again and it automatically unlocks. I found the non-adjustable suspension a little firm at times, hitting bumps with more of a jolt than I would have expected. Otherwise the ride is very composed and comfortable. Performance is good for commuting, not as perky as two wheeled machines with the same engine. On the open roads, 120 Km/h can be expected as a maximum, but eventually the Yourban will slow to 90-100 Km/h up steeper inclines. It’s still OK for the occasional freeway jaunt, but the machine is better suited to the city confines where it does shine. Hence the name contains the word Urban. It’s got three wheels, but does handle like an ordinary scooter - well almost. I got to ride the machine in some reasonably heavy rain and it was here that the Yourban’s major differentiation to two wheeled scooters becomes apparent. Grip, braking and general feeling of stability and security under these conditions is awesome. 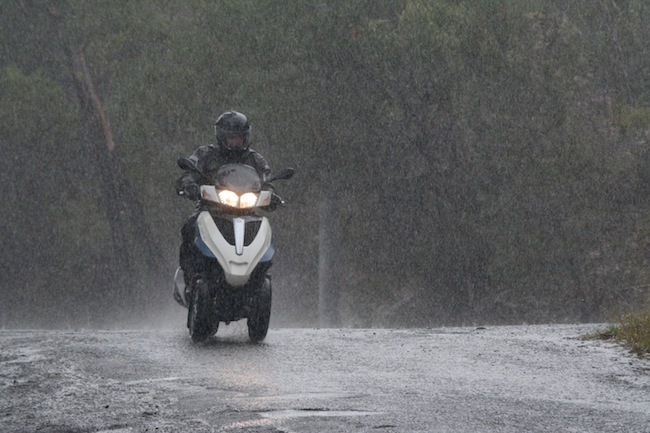 This makes it a great machine for those having to scoot no matter what the weather. It also makes the Yourban a great choice for novices who need to build skills and confidence. Overall I really liked it and the riding impression was much better than I’d ever anticipated. Thumbs up for this one. Pete Gailey - He rides in his sleep. 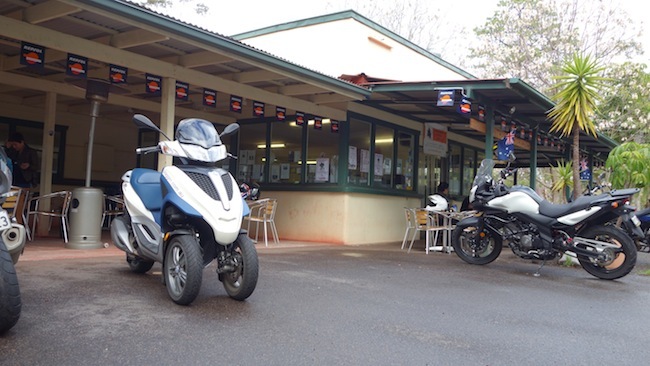 Wet roads, tight twisties, torrential downpours, country roads at freeway speeds, 120 Km/h sweepers, three test pilots, 600 kilometres ridden hard over two days. 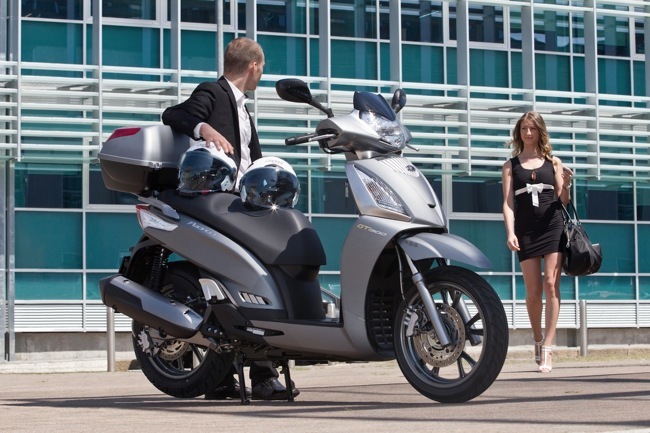 Piaggio's latest MP3 the Yourban 300 handled this crazy punishment unfazed. It is obviously a very well engineered quality scooter with the face only an alien mothership could love. I’d ridden a few of the older MP3's before, thought the 250 was underpowered but found the discontinued MP3 400 was one of the best scooters I'd ever ridden. The Yourban has been on a diet and is much lighter than previous MP3 versions. The Yourban boasts 13 inch front wheels which felt good on the road, planted and confident. These 3 wheelers are huge in Paris. Our particular Yourban had seen some work, had over 4000k’s on the clock and was well run-in. The 300cc Quasar engine gives the Yourban a top speed of 100 Km/h up hills, 120 Km/h max on the flat and 130 Km/h downhill or with a tail wind but there isn’t much torque in those top revs. The speedo was very close to being GPS accurate. On the open roads the 120 Km/h max top speed means that you can keep up with traffic, though you will need to plan overtaking moves, especially if hills are involved. When I finally got to push the Yourban on the dry open roads I had a ball testing how well the scoot would stick, it responded nicely to counter steering and handled like a bike – maybe even better. It was stable in the lean and held its line with the throttle rolling on. The only slight weakness was getting bounced about in bumpy fast sweeping corners when tackled at top speed. Not that you’d be doing much of that in the Youban’s natural environment. It really wasn’t until I got it back into the suburbs and the Yourban began to shine and sparkle in its full brilliance. It shows good levels of torque up to 80/90 Km/h to easily beat traffic off the line, it’s surprisingly easy to filter and sticks like glue. The Yourban is easy to manoeuvre and park, has great lights and copious amounts of storage. It also performs this fantastic wheel locking trick at the traffic lights. The city landscape is where the Yourban excels and it’s obviously where the YO-URBAN got its name, it’s the ideal urban machine. I’m giving the Yourban 300 8.5 shooting stars. Tamzin - First impressions count. I started my love of riding scooters and bikes over 35 years ago. My first road registered bike was a small 50 cc scooter. It was not only a great means of transport, but for me as a 17 year old, it was my ticket to freedom. After a long break from riding I’ve recently obtained my licence again and continued my love affair. My current ride is a little 88 Honda CBR250RR. The Yourban is a world away from my regular ride, or anything I’ve ever ridden before. On initial observation I wondered how this unusual machine was to be ridden. It could have easily passed as coming straight out of “The Jetsons” with its modern space age looks. I was really intrigued with it. Impressed by its plush soft well padded seating. I climbed aboard and sat comfortably in an upright position and maintained a good posture. Although short in stature, I was able reach the ground and maintain control and balance. With a twist of the throttle it felt like I was a passenger as the Yourban seemed to have the ability to do all the work. I wrongly assumed that it was to be steered like some sort of quadbike but the Yourban rides just like any other two wheeler. I only needed to lean slightly left or right and it handled beautifully. I was immediately impressed at its handling ability and smoothness, not to forget its ability to travel at 110 Km/h with ease. Ingenious design and very impressive. I think a very valuable feature is the amount of storage space, you can pack anything you fancy. I really recommend a ride on this smart sporty versatile and very comfortable scooter, I think you will be as just as impressed as I was. The next piece of the puzzle arrives for Vespa. Sprint 150 will be in dealers this September. 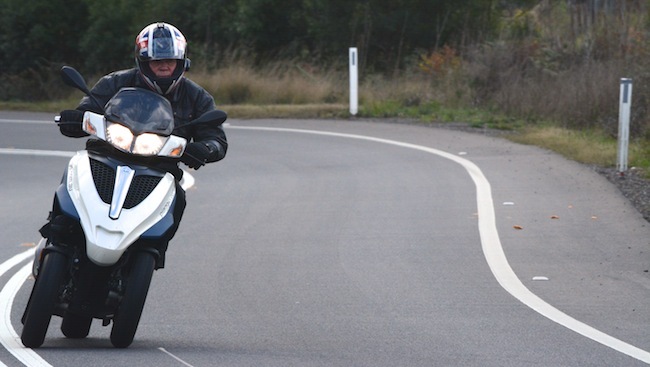 Vespa Australia has a fairly big six months ahead of it. Not only will we see the Sprint this September, but we will also shortly see an update of the larger bodied GTS Super range. 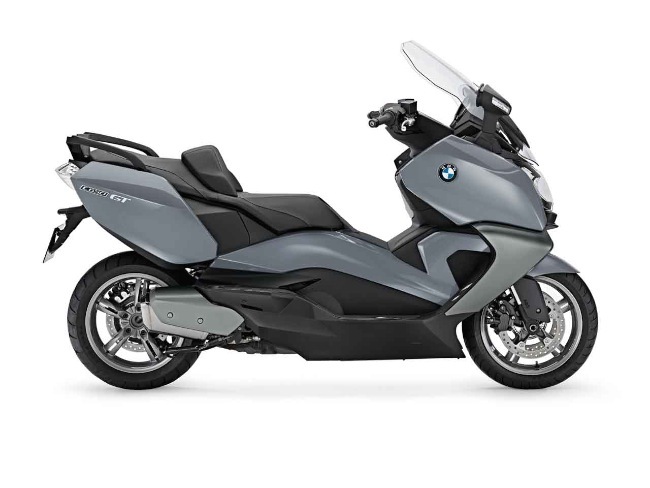 Add in models like the new GTS 150 and this years version of the limited production 946, and the road ahead looks bright. The new Sprint is special though. This will be our first taste of the upgraded “slide” front suspension. It will also be the first small bodied - mass produced Vespa we see with 12 inch wheels front and rear. Initial sales of the Primavera have been solid and we’re predicting things could get even busier where the Sprint is concerned. I’m told initial enquiry has been strong with dealers holding a number of deposits already. Look out for the Sprint arriving soon and see the official Australian press release below. Manufacturers list price is $6290 plus on-roads. Iconic brand Scooter brand Vespa launches a new derivative of the popular marque in September with the exciting new Sprint 150 i.e. Sprint is set to strike a chord with the next generation of Vespa buyers and boasts new features not previously seen on the smaller Vespa body design. 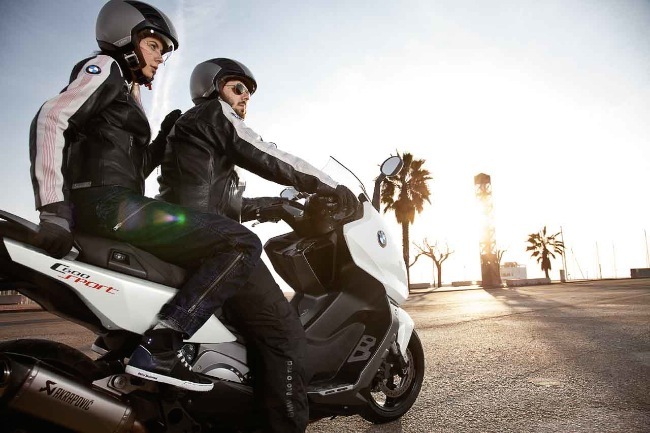 Sprint 150 is the next stage of a fresh and revitalised line up being introduced in 2014 by Vespa. Sprint is a true revolution with respect to previous Vespa small body generations. 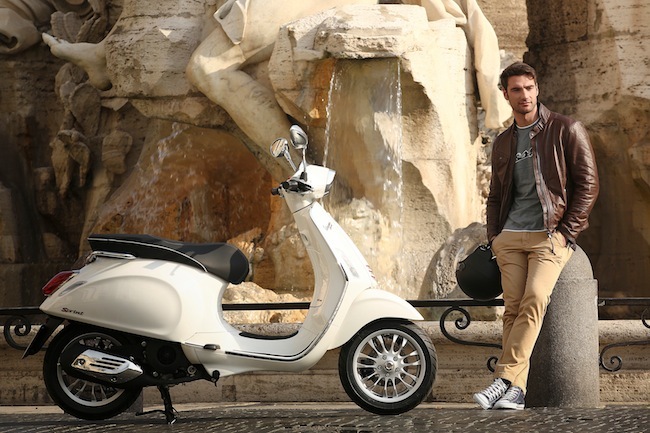 With the goal of guaranteeing the same ease and lightweight qualities of previous Vespa small frame range while setting new standards in terms of comfort, space, riding pleasure and safety. 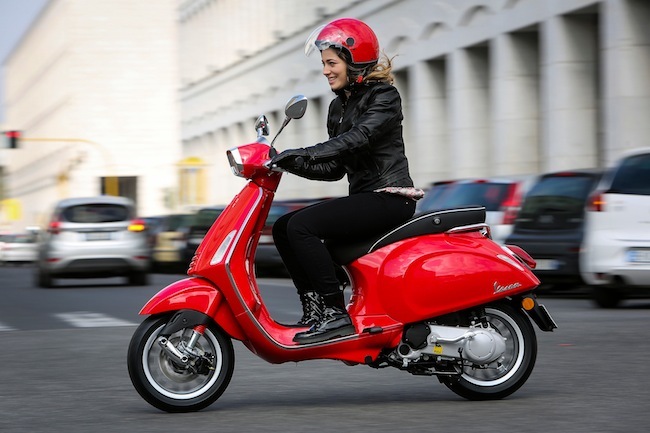 Vespa Sprint is a complete revamp of shape and size, picking up on the inspiration from the Vespa 946. 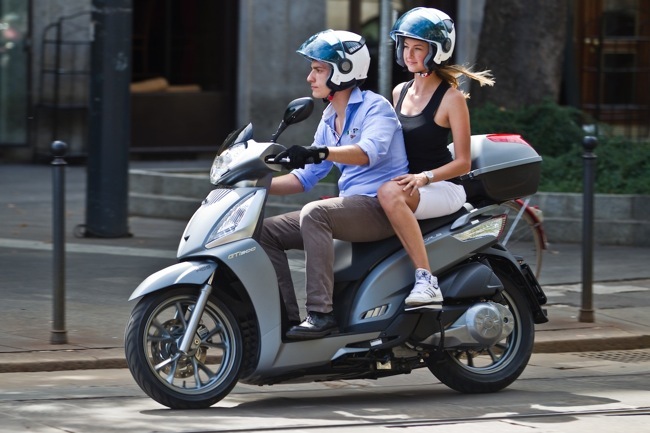 The overall dimensions are still similar to those that marked the success of the Vespa LX however an increase in fundamental specific dimensions optimises the ergonomics, habitability and ease of use. The rider now has more legroom behind the shield and a new footrest that facilitates placing both feet on the ground, thanks in part to a new foot board design. Ease of handling is still ensured by the compact lateral size. Like the first prototype that inspired the name "Vespa" due to its similarity to a wasp the tail returns to its tapered pointed design and providing a streamlined appearance. Celebrated for the unique all steel construction and famous shape, Vespa is generally categorised by body size, small frame for the compact inner urban commuter and large frame for the higher capacity models. The small frame or 'Vespino' as they are known in Italy, offer a popular size compatible with inner city transport purpose. Sprints new body sees rigidity of the headstock increased 36%, while the longitudinal resitance to flex is also significantly increased, advantages tangible in terms of safety and riding pleasure on the road, where riders will discover Sprints dynamic qualities for exceptional stability and handling. 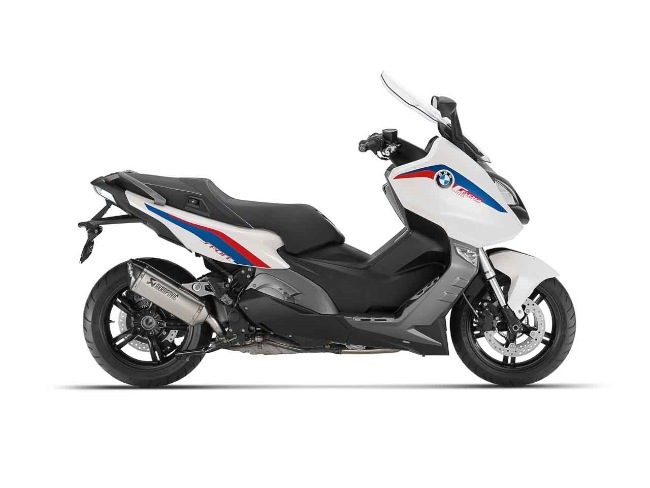 Sprint 150 is characterised by large diameter 12 inch rims ,the largest seen on a 'Vespino', and a new, sportier front end with Vespas new enhanced sliding suspension (ESS) designed to significantly improve road holding and rider enjoyment. Additionally distinctive styling, in reference to fashionable Sprints of the 60s and 70s with their trapezoidal headlight shape see Vespa again step away from the traditional round headlight and mirror design. A move in line with the popular trend of retro style complimenting modern technology. 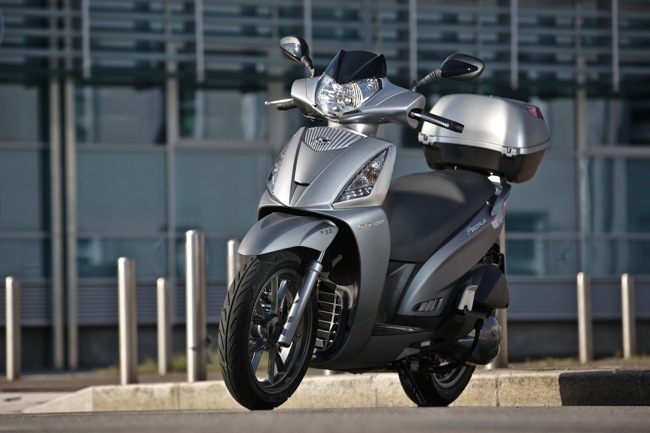 Vespa Sprint offers numerous bold aspects which strongly characterise the model and set it apart. The saddle has an exclusive design, enhanced by a strictly black covering with a white line finish. The convenient fold-away bag hook is retained, contributing to increasing the already significant cargo capacity of the Vespa Sprint. A new battery location sees under seat storage increase to a very generous 16.6 litres. A new engine mount system first introduced on Primavera is prevalent on the Sprint keeping vibration to a bare minimum. Safety and security include LED front day time lamps, engine immobiliser and side stand with engine safety cut out switch. As always in the history of Vespa, the brand new Vespa Sprint offers a wide range of accessories to customise your vehicle and to increase riding comfort including screens topboxes and racks. Category leading 10,000 klm service periods and a standard 2 year unlimited klm warranty is applicable.